The use of standards is vital in the assessment of stock values as investors constantly compare one investment with another. The price earnings ratio is the most popular measure investors use to compare and determine stocks values. 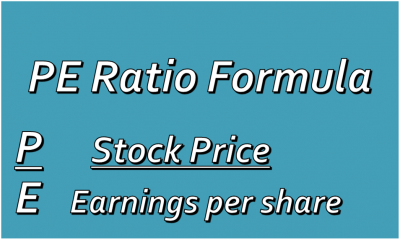 It is computed by dividing the price of a stock by the earnings per share. It allows investors to compare the value of one company with others in order to decide which ones are to be bought sold or held on to. Pass developments also inform seasoned investors as markets tend to have familiar recurring patterns over time. When the market moves markedly away from the norm it is usually time for investors to move. Nowhere is this truer than PE ratios. Investors should therefore keep track of historical price earnings ratios and compare them with the current ones. Ratios that have been high in the past and are now low, may indicate a potential increase in value for the stock or vice versa. Use of the PEs| There is a tendency to look at the earnings per share of companies and apply a price earnings ratio to them to arrive at the value of a stock. This is one approach, but we should go further, with companies having hidden values the purist approach will miss the underlying value that could surface at any time. Astute investors will take into account the difference in treatment of accounting policies could have on earnings in assessing company value. It usually takes a longer time for such concepts to gain investor acceptance, but once widely accepted, the patient investor is usually rewarded.